Originally from Ann Arbor, Michigan, Katy Tinsley settled in New Orleans with her now husband after the two got engaged (during a whirlwind romance in Seattle) and decided they wanted to move somewhere new. They both made a list of cities they’d like to live in, and New Orleans ranked high on both of their lists. They have now been here for a little more than two years, and Tinsley says she loves the buzzy yet relaxed energy in the Big Easy. “Also, I eat fried chicken about twice a week so the abundance of options is appreciated.,” she says. 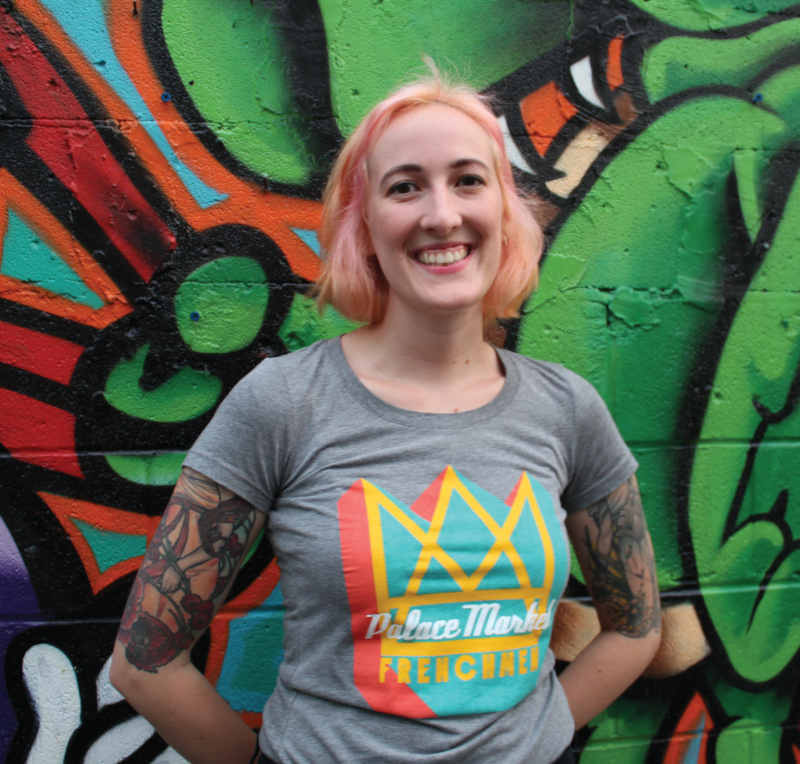 As the director of operations and head curator of Palace Market, she definitely knows a thing or two about buzzy. Palace Market opened last September, and Tinsley has been in her current role as director of operations and head curator since February. Her main job responsibilities are to keep track of all the little details that keep the market running every day, as well as planning for the future to help the market grow and develop. It’s a job for which she is well-suited. Palace Market features live art events every Saturday night. During the event, one of the artists sets up their studio right in the market so guests can get a firsthand look at how they create their work. “We are also available for private events — you can rent the back courtyard during market hours for a unique behind-the-scenes experience,” Tinsley says.